A clever variant of phishing scams is proliferating among enterprises, forcing CIOs to up their game even as they are still refining their cybersecurity practices to contend with various zero-day attacks. Called whaling, the social engineering grift typically involves a hacker masquerading as a senior executive asking an employee to transfer money. Jay Wessland, CTO of the Boston Celtics. "We have seen a few of those," says Jay Wessland, CTO of the Boston Celtics. He says atypical example he's seen involves someone pretending to be CEO or CFO who emails a high-level employee in the finance department to wire money or W2 tax forms. He says whaling attacks, a form of business email compromise also known as "CEO fraud," have increased over the past few months. Whaling is becoming a big enough issue that it's landed on the radar of the Federal Bureau of Investigation, which last week said that such scams have cost companies more than $2.3 billion in losses over the past three years. The losses affect every U.S. state and in at least 79 countries. The FB1I said that it has seen a 270 percent increase in identified victims and exposed losses from CEO scams since January 2015. For example, Mattel lost $3 million in 2015 to one CEO fraud scam, while Snapchat and Seagate Technologies also fell prey to similar schemes. Unlike typical phishing or spearphishing scams, in which an attacker typically includes a malicious URL or attachment, whaling is a pure social engineering hack targeting relationships between employees, says Steve Malone, director of security product management at Mimecast. 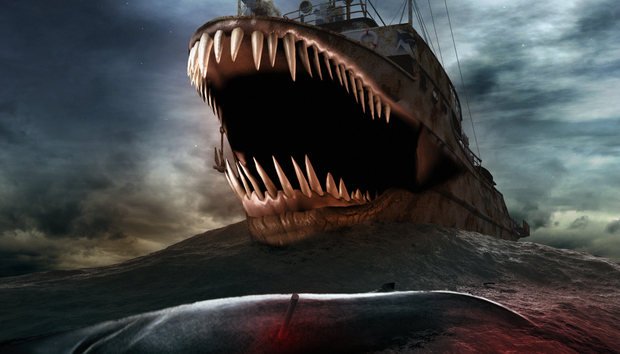 Whaling fraudsters either gain access to an executive's email inbox, or email employees from a fake domain name that appears similar to the legitimate domain name. They ask the intended recipient to take some action, such as moving money from a corporate account to an account the fraudster has set up, Malone says. Often, the language and phrasing of the email request are designed to sound similar to those that might come from CEOs, CFOs and finance staff. The notes may begin with a simple greeting, such as "Hello, how are you," and inquire if the recipient is in the office, a seemingly natural query. Then they'll ask the potential victim to trigger a money transfer, issue a bank payment, or email a W2 or some other sensitive document. "There's no way to spy that as bad," Malone says. "The content is human-written so a spam filter won't pick it up and it's hard to detect because there are no links or attachments." Wessland says such attacks are impossible to pick up with basic spam-filtering technologies, noting that hackers will simply keep creating new fake domains from which to send their targeted messages. "You have to inspect the header of mail more intimately," says Wessland, who is responsible for safeguarding 200 employee email inboxes. Vendors such as Microsoft, Proofpoint, Cloudmark and Mimecast are building tools to help companies defend against these attack. 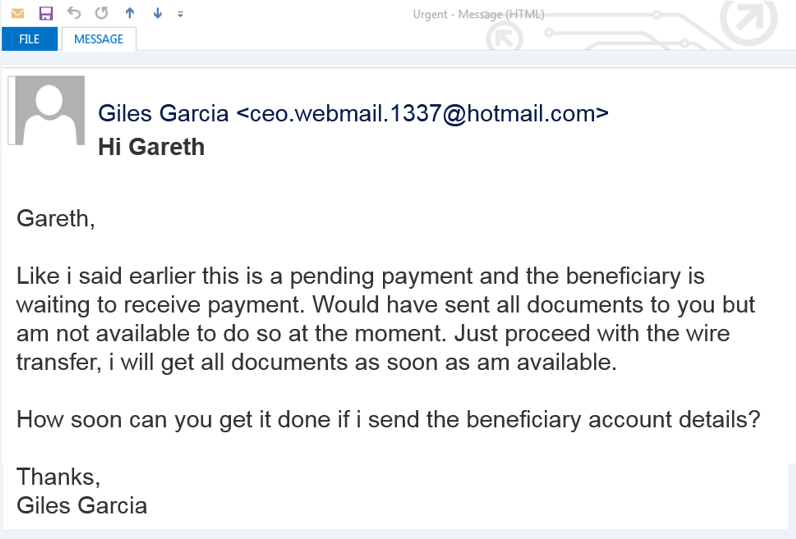 Mimecast, which makes cloud software designed to spot and quarantine phishing emails with malicious attachments and URLs, has just launched a tool designed to harpoon whaling. Called Impersonation Protect, the software's algorithms analyze the language content of emails as they come in through a corporate server. It looks for key indicators, beginning with whether the source name actually works for the company. The software will then parse the email content for requests that includes keywords and phrases such as "W2" or "wire transfer," and provides a probability score that a target email is either safe or malicious. "One indicator in isolation is not bad, but two together could be fishy," Malone says. A third indicator -- and one unlikely to be caught by one of the corporate employees -- is that the attackers will register a domain similar to the victim company's name. For example, an attacker trying to spoof Mimecast employees might register the domain header "Minecast" and send email from it. CIOs can set policies in Impersonation Protect, programming it to reject suspicious mail or quarantine it for review, Malone says. The Celtics’ Wessland says he will begin using Impersonation Protect in conjunction with Mimecast's URL and attachment-protection software this month. "Hopefully the automated tool will detect a lie and block or quarantine it and I can go and review it," Wessland says. How afraid is Wessland of whaling attacks? About as afraid as he is of any cybersecurity threat and targeted attacks. He says he uses a number of desktop antivirus, gateway antivirus and application security tools to fend off attackers. "No matter what you do there always seems to be things that happen and that’s a concern," Wessland says. "All of those things keep me up at night." « Is Zuckerberg selling his soul for Facebook access to China?